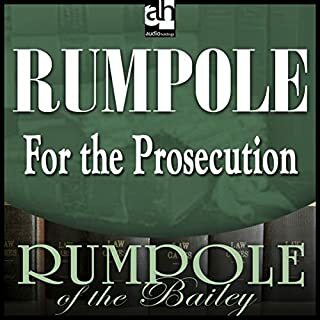 Horace Rumpole is back, but this one time he relates his witty tale as he now takes a turn as an Old Bailey prosecutor, one with a penchant for gin and justice. 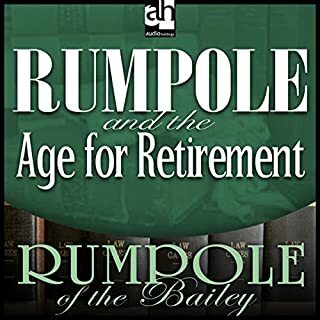 Listen to Rumpole's biting cynicism and dry humor...then become a lifelong fan! After a fight with his wife, Rumpole stays with Erskine-Browns and finds that Portia is prosecuting one of his clients. Rumpole again defends a member of the Timson clan on a charge of possession of stolen goods - namely, he is caught with a garage full of expensive wine. 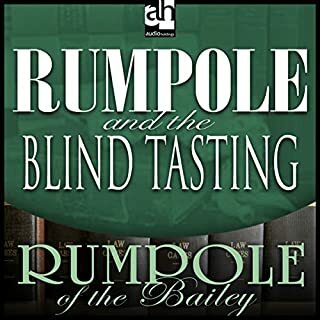 Rumpole is concerned that Timson's explanation that he purchased the wine from some unknown individual he met in a pub will not go down well with Mr. Justice Graves, who has heard these stories many times before. Rumpole unenthusiastically accompanies Hilda and her cousin to a very fashionable restaurant. Rumpole hates the ostentatious ambiance and pretentious food with its scant portions. He requests steak and kidney pudding. Jean Pierre O'Higgins, the owner, is insulted that Rumpole would expect him to prepare such low-class dishes. Suddenly, pandemonium strikes when a live mouse jumps out from the serving dish at another table. Unfortunately, the diners are Erskine-Brown with an attractive colleague that he's romancing. Leo McKern is Horace Rumpole! Here he reads about the life and trials of the eccentric barrister, famous for his inestimable knowledge of blood stains, blood groups and forgery by typewriter. 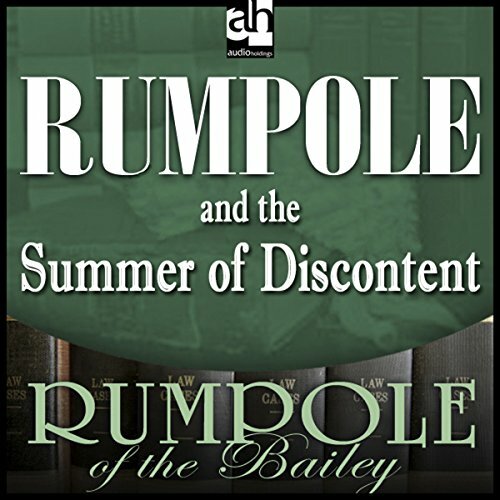 Witty and cynical as ever, Horace Rumpole will once again delight listeners with his irreverent behavior and legal triumphs. Will he and his longtime client Percy Timson both be forced to retire, one to sunny climes, the other to jail? Rumpole defends Charles Hearthstoke against charges of keeping bawdy houses, in the form of his chain of massage parlors. The case has become quite a scandal since many customers were prominent members of the community and, to Rumpole's astonishment, paid with credit cards. Guthrie Featherstone, who sought a massage for an injury, now thinks that may be identified as one of the patrons, and Rumpole cunningly arranges for him to preside at Hearthstoke's trial. Rumpole must now defend a young member of the Timson family, an extended clan of petty thieves who are otherwise decent South London rogues. Adding to Rumpole’s anxiety, his own son now appears to be acquiring some of the less respectable Timson family traits. Rumpole defends a Pakistani doctor accused of molesting a female patient. Meanwhile his colleague Phyllida suspects her husband, Erskine-Brown, of philandering. To complicate these matters even more, Rumpole is sidetracked by the romantic advances of a middle-aged ex-client. 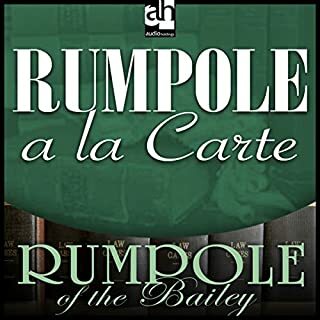 Known as “The Bailey Hack” for his chain smoking, the irrepressible Rumpole is engaged to defend a church vicar who is accused of theft and whose only defense for now is “divine intervention”. Meeting up with old friend George Frobisher for after-work drinks, Rumpole can't help but notice that George's female companion looks suspiciously familiar. Rumpole takes on a divorce case. He represents a Mrs. Thripp, who accuses her husband of unbearable conduct since he has not spoken to her for at least three years and communicates with her in their home only via written notes. But at home, Rumpole finds his wife, Hilda, in a horrid temper, since their son, Nick, has moved to Florida. When his client telephones him at home, Hilda eavesdrops on Rumpole’s conversation and thinks that Rumpole is now in the throes of an affair. Will Rumpole now have to find a divorce lawyer for himself? Our Horace Rumpole, the most traditional of traditionalists, defends a hippie-like schoolteacher on a drugs charge. Quite unexpectedly, he finds himself attracted to her and to her unusual lifestyle. Leo McKern, reprising his role from the iconic British TV show Rumpole of the Bailey, once again puts his stentorian boom to good use this tale which finds the salty, trenchant, and deceptively shrewd barrister representing a union boss accused of manslaughter while facing a challenge of a different but similarly daunting variety on the home front: his wife, also known as "She Who Must be Obeyed", Hilda’s "withdrawal” from performing chores. 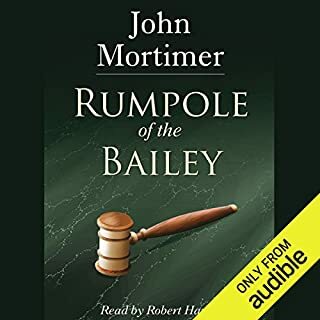 From spirited debates at Old Bailey to Rumpole’s futile attempt at cooking peas, McKern’s enthusiastic and often uproariously funny performance makes this an addictive, highly entertaining listen. 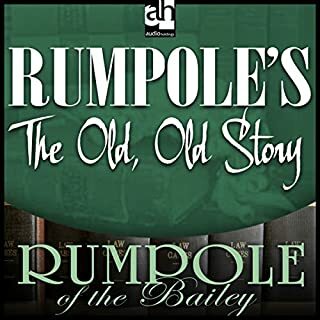 While Rumpole defends a union activist accused of manslaughter, Hilda creates her own union and goes on strike as Rumpole's cook because of his unpredictable and frequent late hours. Rumpole is under pressure to win his case and negotiate a proper labor settlement with “She Who Must Be Obeyed”. We hate your semi forced attentions to reviews. who ever runs audible is a disgrace. We hate your semi forced attentions to reviews. who ever runs audible is a disgrace. We hate your semi forced attentions to reviews. who ever runs audible is a disgrace. We hate your semi forced attentions to reviews. who ever runs audible is a disgrace. We hate your semi forced attentions to reviews. who ever runs audible is a disgrace.